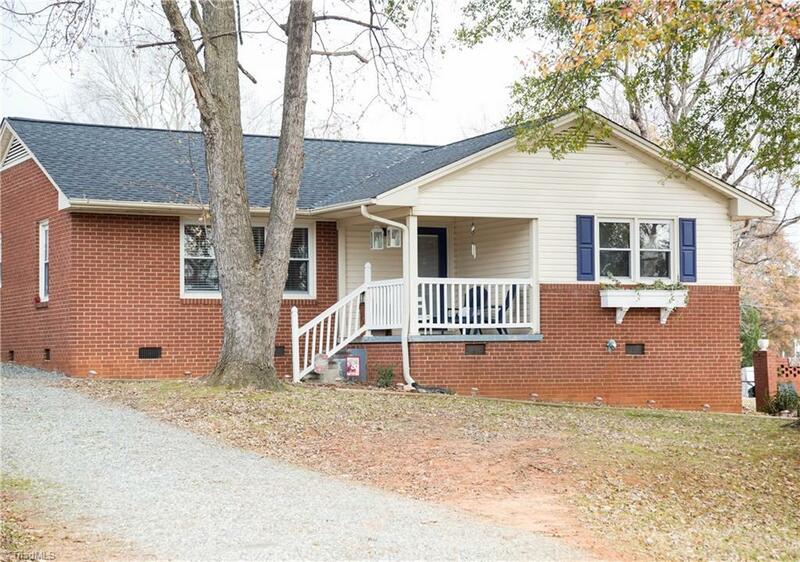 Beautiful Brick Ranch with Original Hardwoods! This 3 Bed 1 Bath Home Offers A Fenced in Backyard, Rear Deck (2018) & Storage Building. Great Curb Appeal with Covered Front Porch, Perfect for Rocking Chairs! Updated Light Fixtures Throughout the Home. New Roof & Gutters-2017. New Water Heater and Heat Pump-2017. Double Pane Windows Throughout. Homes Go Fast in This Neighborhood! Make Your Appointment Today! Centrally Located and Minutes to Shopping & Dining! No HOA! WOW! !